July | 2012 | Paul's Voyage of Discovery & Etc. 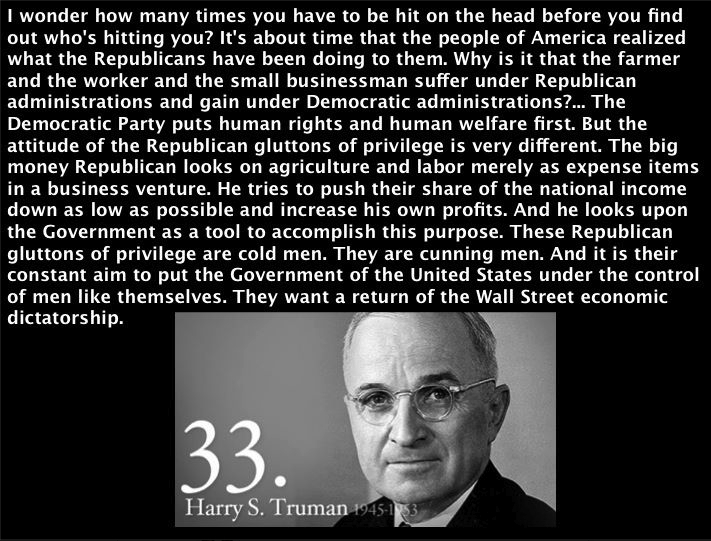 Here’s a snippet of the kind of hell “Give ‘Em Hell Harry” was giving the GOP in those days. (You can read the whole speech here.) 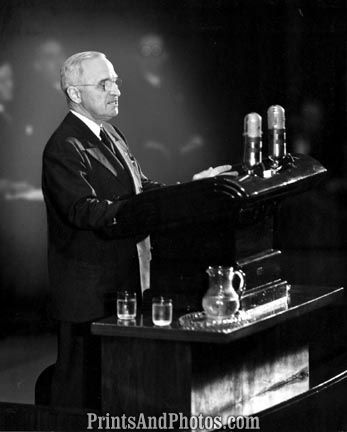 I’d like to hear President Obama channel a little more Harry Truman from now until election day. 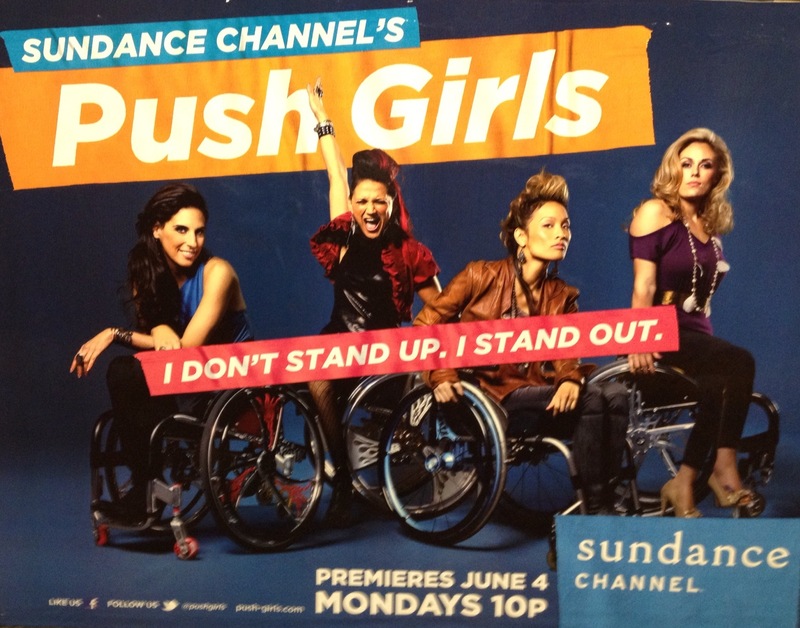 Having decided to take a two-month sabbatical from the television business this summer, I left the production of the first season of “Push Girls” (Sundance Channel) and the eighth season of “Little People, Big World” (TLC) still in progress – and flew up to San Francisco in the first week of June to begin my unusual adventure. 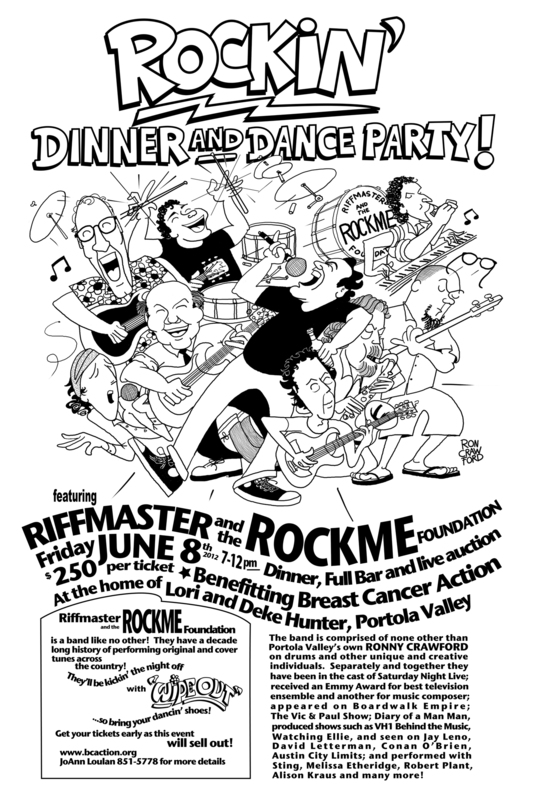 My sabbatical began in the Bay Area because our middle-aged rock & roll band, Riffmaster & The Rockme Foundation, was playing a benefit in Portola Valley on June 8th to support Breast Cancer Action, an event organized by our drummer Rockin’ Ronny Crawford’s wife, JoAnn Loulan. 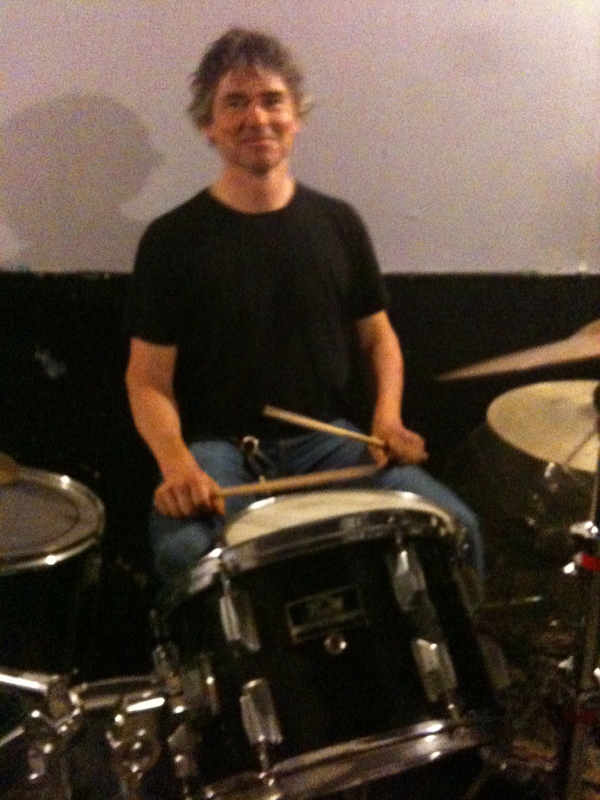 My summer sojourn was off to a loud, rocking start for a very good cause. 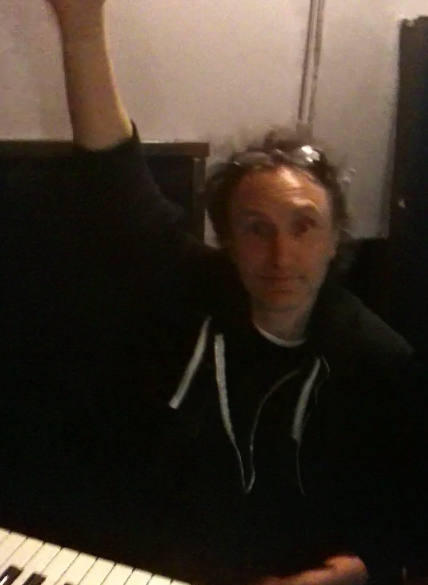 My great friend, Rockme band mate (and freshman college roommate) Brad Hall accompanied me on the flight from LAX to SFO. Brad was also playing hooky from Hollywood. After picking up Brad’s rental car, we traversed the surface streets of San Francisco, iPhone GPS in hand, from SFO to Brad’s sister’s lovely house overlooking The Presidio. 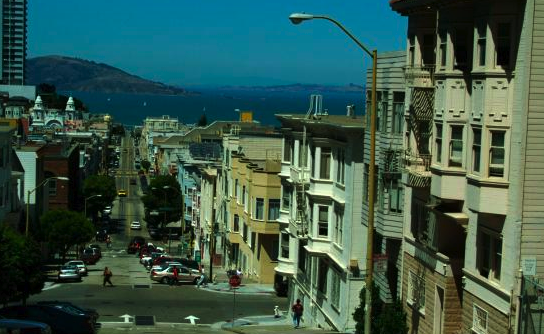 I’d never spent more than a few days in San Francisco before, and I saw more of the city on that drive than I’d ever seen. I felt like Steve McQueen in “Bullit” (only going a lot slower) as we made our way up and down the groovy urban hill country toward The Presidio: that vast expanse of green space overlooking the Pacific Ocean commandeered by the U.S. military since the early 19th Century. 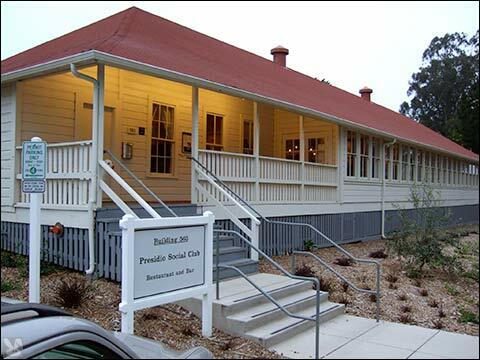 That first evening in San Francisco, Brad and I went to The Presidio Social Club to meet up with our gathering bandmates — Riffmaster Peter Van Wagner and Maurice Cleary (college roommates) and Terry Barron and Tom Larson (also college roommates. Sensing a pattern here?). I had the liver and onions. My meal was fabulous, as was the entire evening. 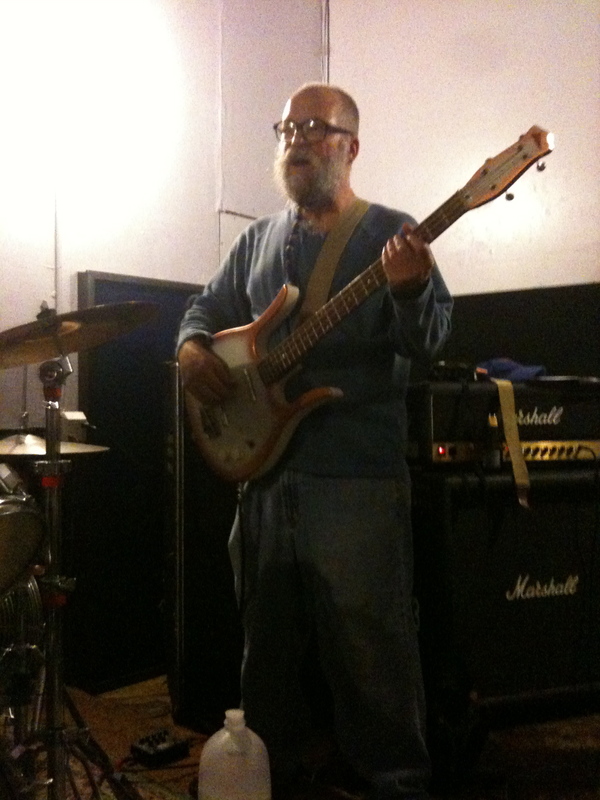 The next day, Brad and I made our way to rehearsal at Lennon Rehearsal Studios, located at 271 Dore Street in San Francisco, where our entire band was gathered. 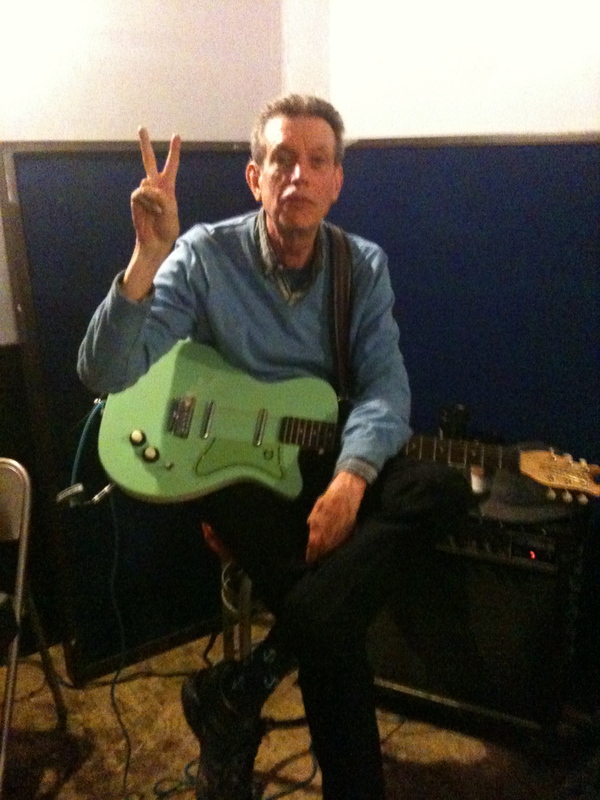 Our rehearsal at Lennon Studios went well. We actually made our way through most of the two sets we planned to play the next evening – and I managed not to tear my vocal cords to shreds prematurely. 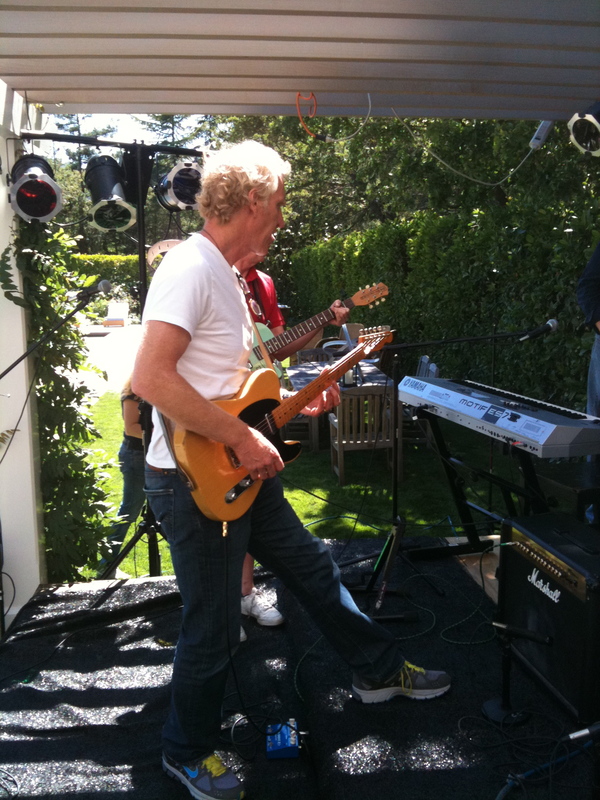 The next evening, June 8th, we played the gig that had drawn us all to the Portola Valley: the benefit for Breast Cancer Action at the stunning, stately residence of Lori and Deke Hunter. 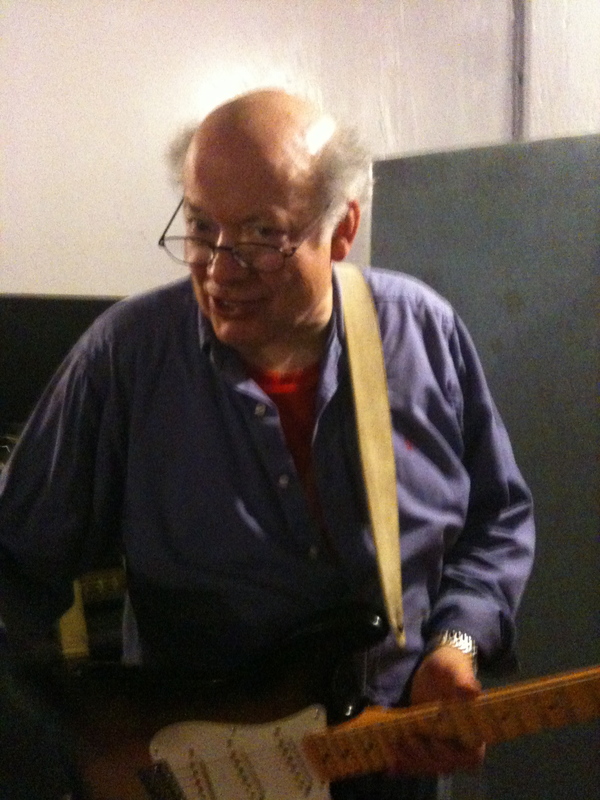 At sound check — hours before the party got underway — Deke had growing concerns about the band. 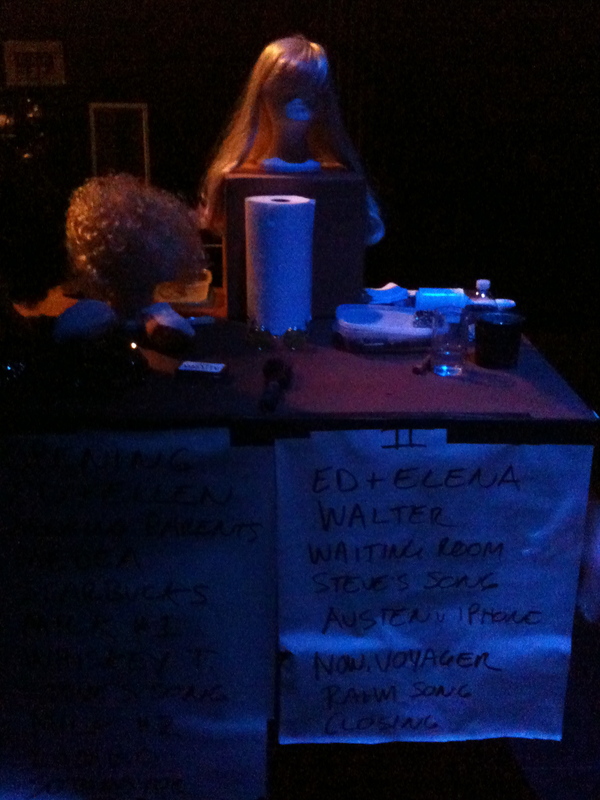 When I went into his house to print our set lists, Deke warned me that, “Volume could be a problem.” I replied that, “Volume is always a problem.” Needless to say, Deke was not reassured. 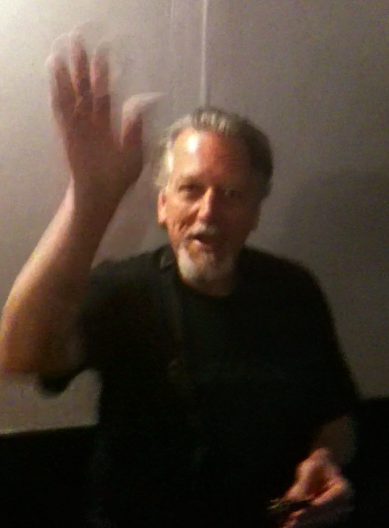 But before the night was out, it was Deke himself who led a packed dance floor, as he and his benefit guests rocked along with our second set. We came. We saw. We rocked. 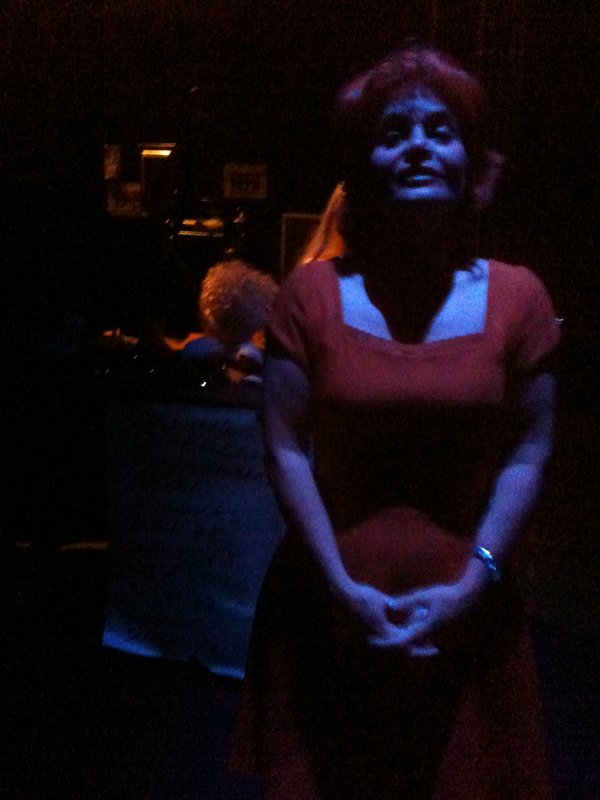 And we helped raise a lot of money for Breast Cancer Action. 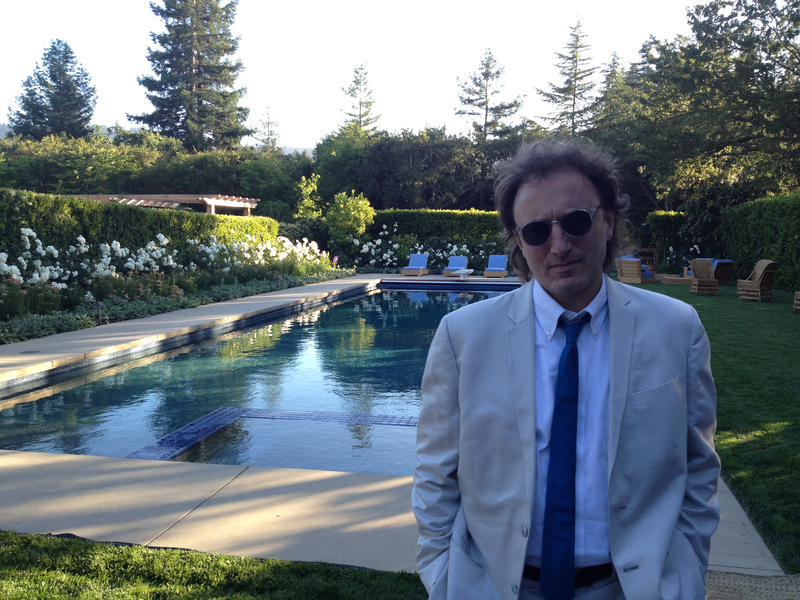 Steve “The Decider” Rashid decides to look ultra-cool by the pool before the gig. 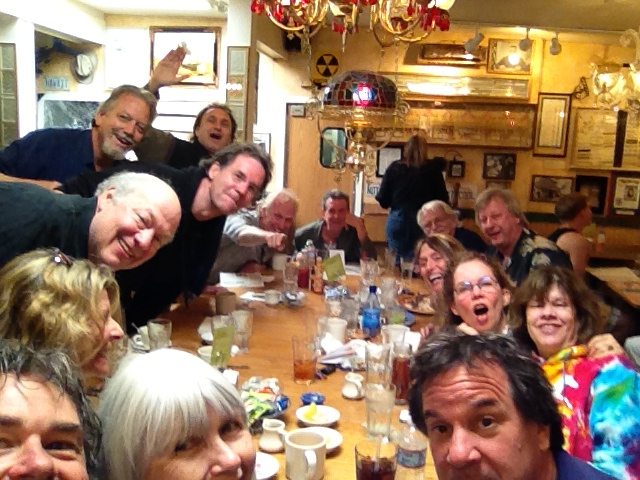 The next day, most of us gathered at a funky local eatery to celebrate a successful evening of riotous rocking and fundraising. 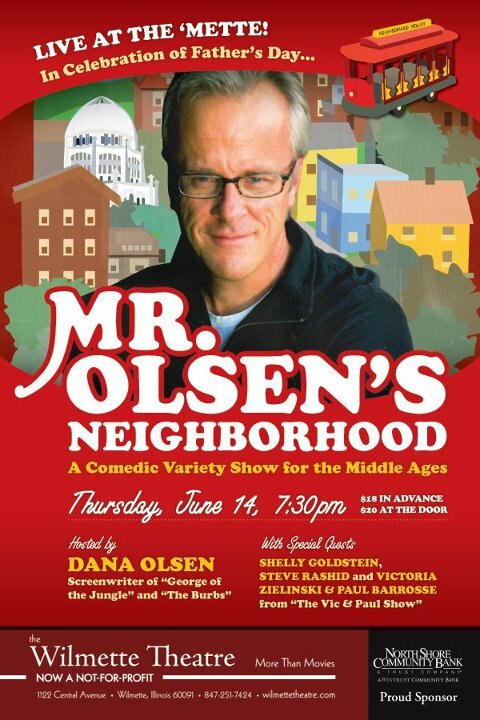 I had not shared a stage with Dana, Stewart or Shelly since our days at Northwestern – and it was as though the intervening three decades simply melted away in laughter and the joy of performance. 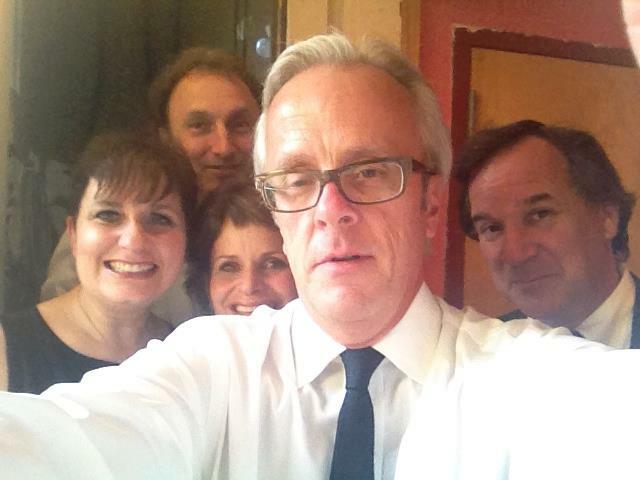 We packed the house at The Wilmette Theatre – and the Chicago stage of my sabbatical tour was off to a great start. 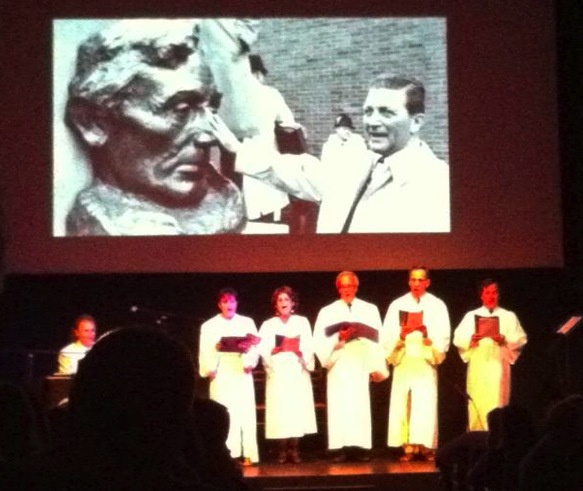 Our choral salute to the legendary, corrupt, imprisoned Governors of Illinois. The great Stewart Figa stands second from right, next to the author. 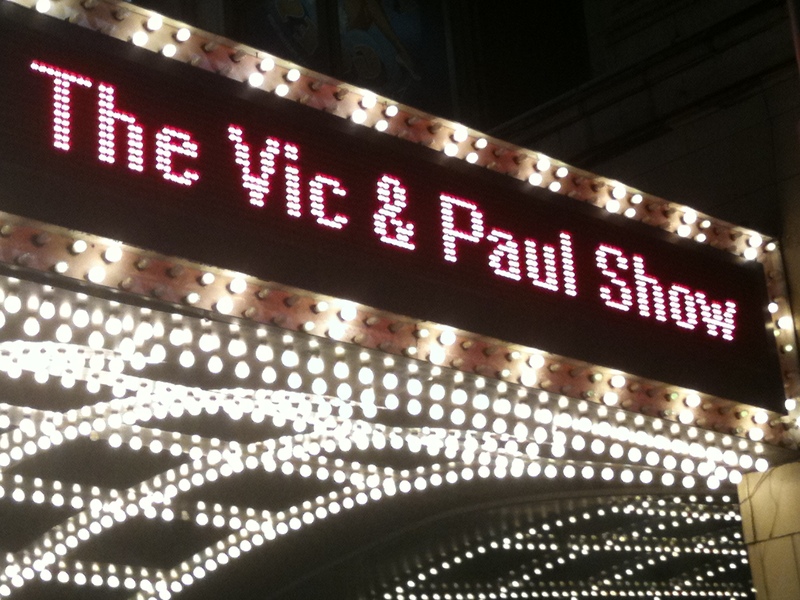 The next night, Friday June 15th was the opening night of “The Vic & Paul Show” at The Beverly Arts Center on Chicago’s South Side in the neighborhood where Victoria was born and raised. 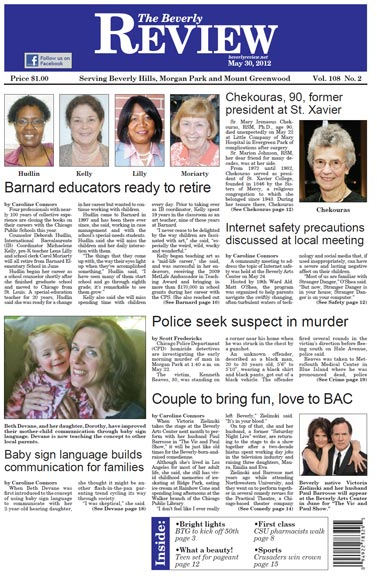 A front page article in The Beverly Review announced Vic’s return to her old stomping grounds — and the audience that gathered on opening night was swelled by her old classmates from Luther South High School, family members, and dozens of others curious to see the show that Victoria and her husband had come back home to perform. 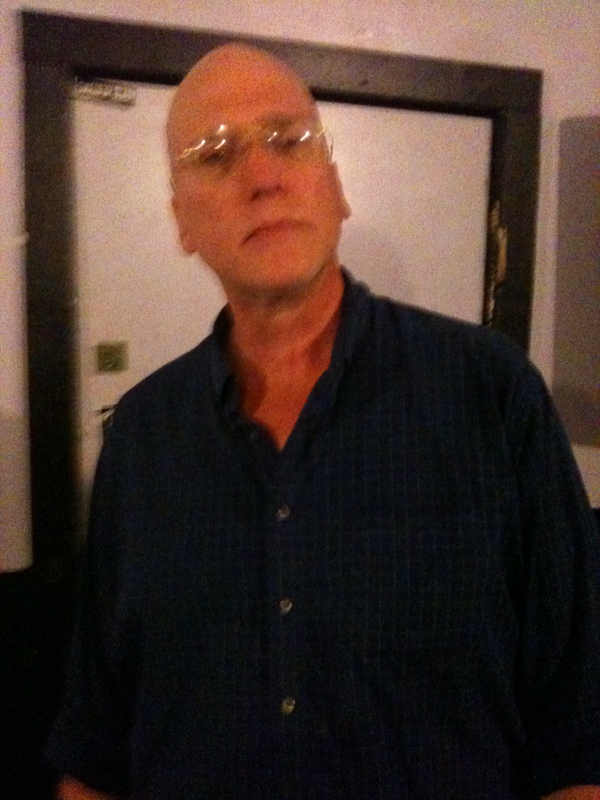 Vic backstage at The Beverly Arts Center. 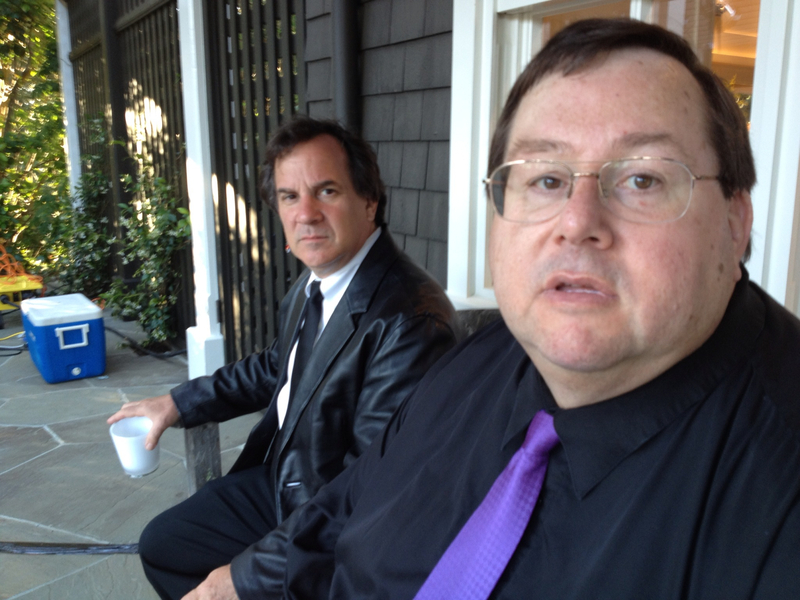 We’d done “The Vic & Paul Show” on Chicago’s North Side before – but this was our first time on the South Side. 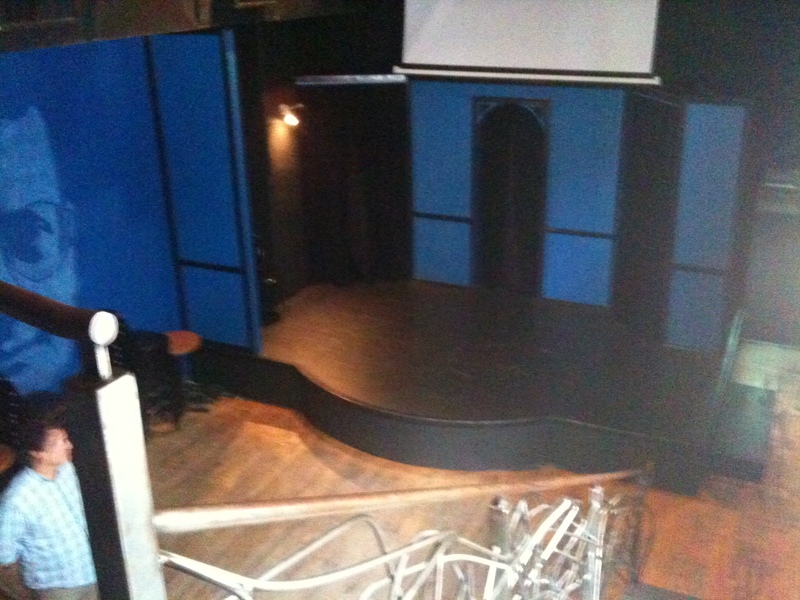 And by the time the curtain came down on our opening night show, we’d learned three basic things about Chicago audiences North and South. — Boy-girl relationship jokes, comedy about marriage, getting drunk, and certain jokes below the waist are universal. — The South Side loves a good Catholic joke. In fact, nowhere on Earth (except, we would soon learn, Cleveland) would a reference to Saint Augustine get such a huge, knowing laugh. 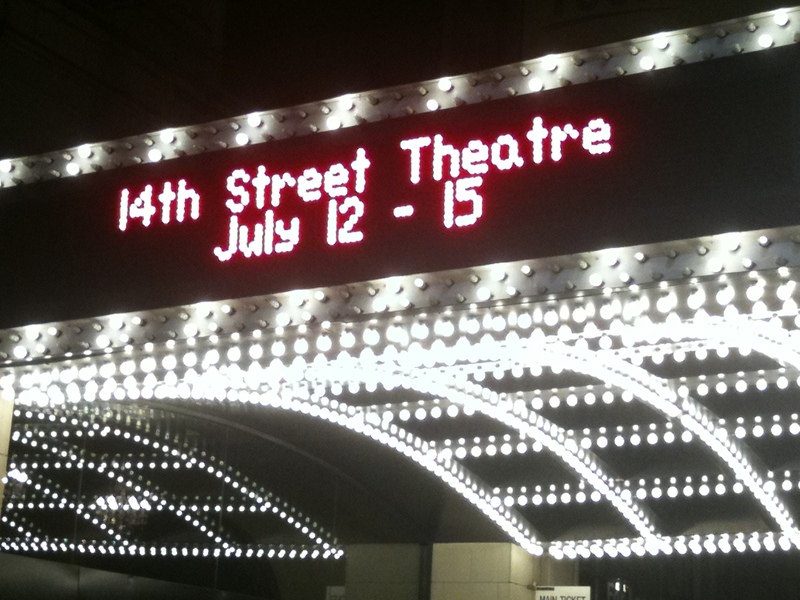 Our two-weekend run at The Beverly Arts Center was off to a pretty good start – but it wasn’t over yet. Or was it? 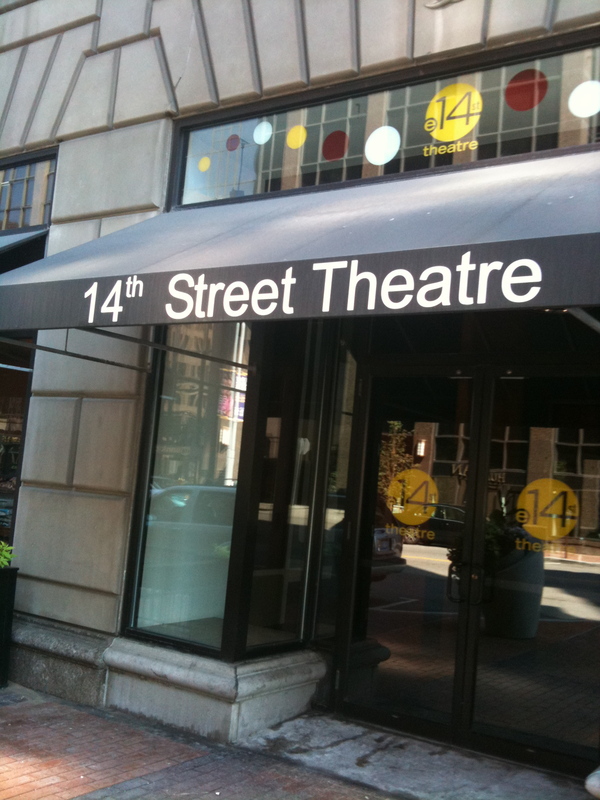 Coming up next: Our run at The Beverly Arts Center continues – then it’s on to the wilds of northern Wisconsin and Cleveland’s Playhouse Square! 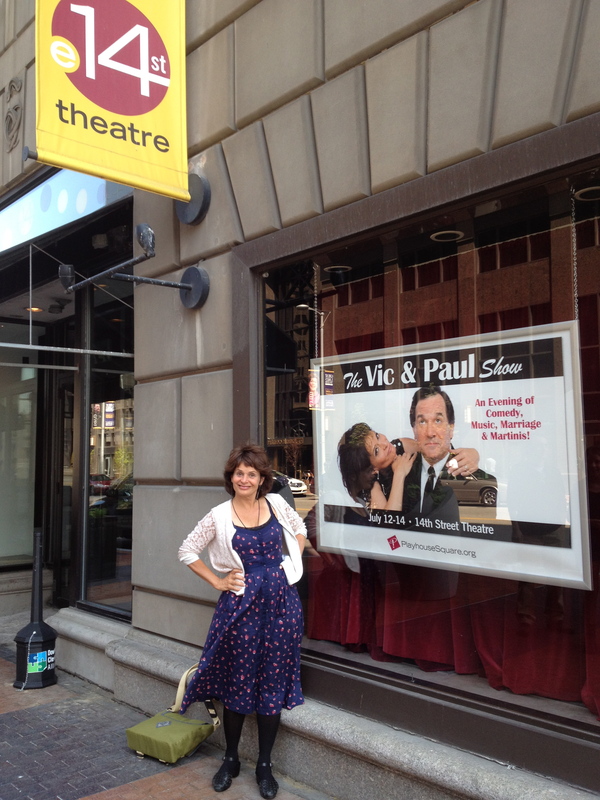 The Vic & Paul Show Opens in Cleveland this Week! 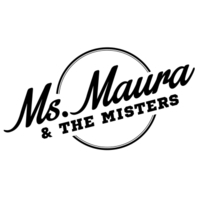 For show info and tickets, click here. 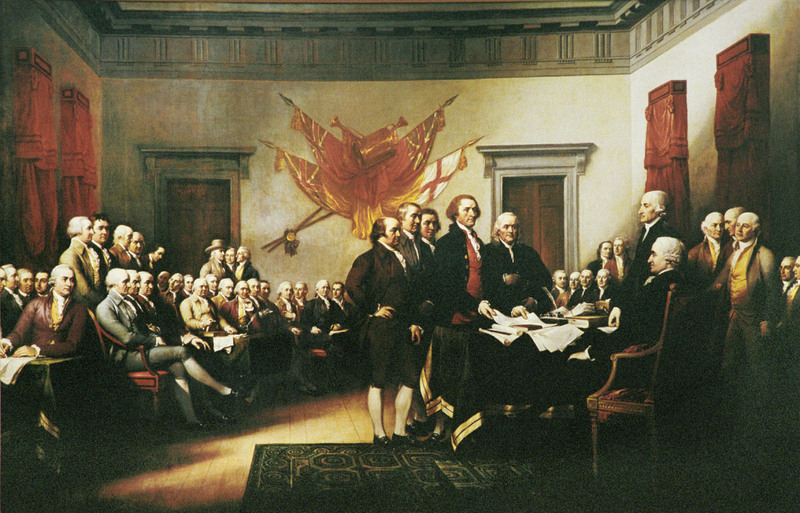 Happy July 4th to all my friends and those who follow, read, or just happen to stumble upon this blog. Today, I’m in Evanston, Illinois getting ready to spend a wonderful day with family and great friends. 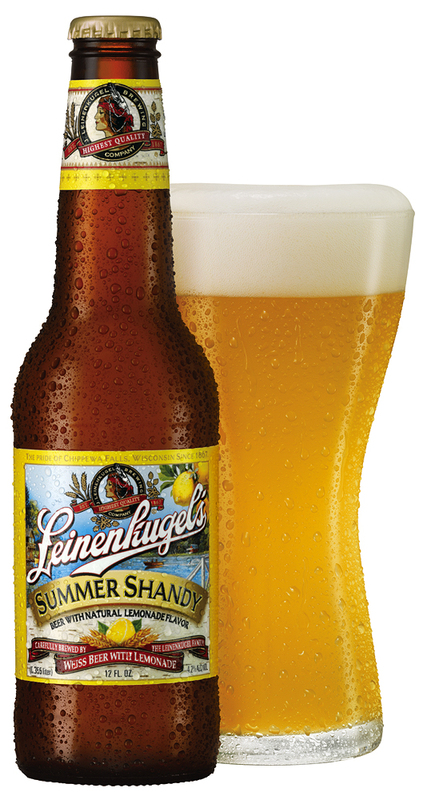 We’ll watch the Central Street Parade, cool ourselves with Leinenkugel’s Summer Shandy, and then enjoy a backyard barbecue. Aside from the 100-degree heat, it couldn’t be more perfect. 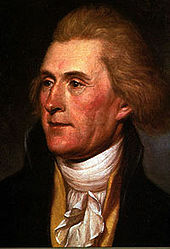 I’m sure it was just this kind of day that George Washington, Thomas Jefferson, John Adams and all our founding fathers had in mind when they decided to throw off the shackles of British rule and risk their lives in a revolution. 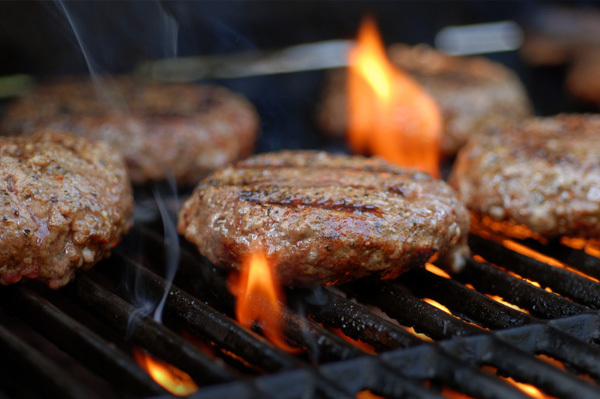 Seriously, those brave patriots clearly had weightier matters in mind – but if they could join us as we sip from a bottle of Summer Shandy between bites of a burger hot off the grill, it might have been reason enough for their epochal Declaration of Independence.